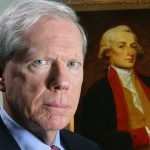 Paul Craig Roberts: Trump Not Allowed To Implement Tariffs - Wall St. for Main St.Wall St. for Main St.
Jason then asks Paul about Trump’s cabinet appointees and how Trump and Obama have vastly expanded powers of executive orders compared to past US presidents and what’s allowed in the US Constitution. Jason then asks Paul about what supply side economics is and if Trump will be successful in implementing his supply side economics stimulus policy? Paul thinks it will fail and that because the US joined the WTO President Trump isn’t allowed to implement any tariffs on China or Mexico either.